If you aren’t using heat mapping on your website, you are missing out on valuable information for your marketing campaign! Are you missing out on important ways to maximize the conversion power of your website? If you aren’t using heat mapping technology on your site, then the answer is yes. Heat mapping is one of the most powerful analytic tools available to help you understand your visitors’ experiences. This insight gives you the vital feedback you need about what’s working, what isn’t, and what doesn’t even stand a chance! At Farotech, we see the difference that this strategy makes every day, and we don’t want your company to miss out on another minute of important marketing data! 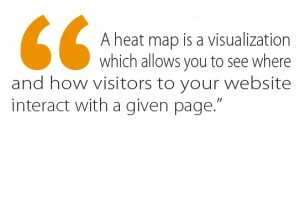 A heat map is a visualization which allows you to see where and how visitors to your website interact with a given page. The brighter an area is, the “hotter” it is, meaning that it receives frequent attention and interaction from visitors. 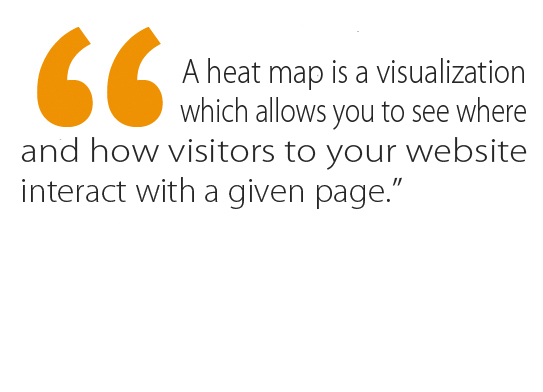 Some heat maps focus on “eyetracking”, which shows you where visitors focus their gaze on each page. Others track interactions with the site, letting you know what is being clicked and how often it happens. The Good. You’ve already put a lot of time, energy, and money into your website. And chances are, some of that has paid off! 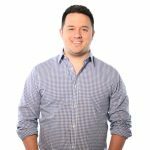 Knowing which areas of your site are receiving frequent, positive interactions gives you the clear data you need to know what to keep, and even what might provide a great example for other innovations. The Bad. Just as all sites have some great assets, they also have areas for improvement. Your heat maps will show you which areas of your site need the most immediate renovations, providing a clear starting point for optimization. The Ignored. Heat maps, and the related practice of scroll maps, can also help to reveal areas of your site that are simply getting no attention. Often this information is below the fold of the page never even gets seen. If you discover that some of your most vital information is being missed, relocating it to the visitor’s immediate line of site may be the best first step to take to improve its visibility. At Farotech, our mission is to help businesses like yours use the latest tools and technology, such as heat mapping, to help you optimize your site for conversions. What strategies are you using right now to determine what works well on your website? Share your stories in the comment section below! Then, give us a call at 267.387.6620 to talk with a Farotech representative about how we can build on those ideas.